A highly anticipated new book sheds light on the state of the Buckeye State’s birds. The Second Atlas of Breeding Birds in Ohio, which was developed and edited in part by researchers with ties to CFAES, comes 25 years after the state’s first breeding bird atlas. It provides a new look at Ohio’s bird life and its changes over time. “The book is written in a way to appeal to a wide audience, with useful information on Ohio’s natural history, the distribution of birds across Ohio and where to go to find them,” said co-editor Matt Shumar, project coordinator for the atlas and a wildlife biologist in CFAES’s School of Environment and Natural Resources. It’s been a boon, too, to research, he said. “Data generated by the second atlas provide a wealth of opportunity for biologists and land managers to explore the complex relationships between species distributions and land use,” he said. 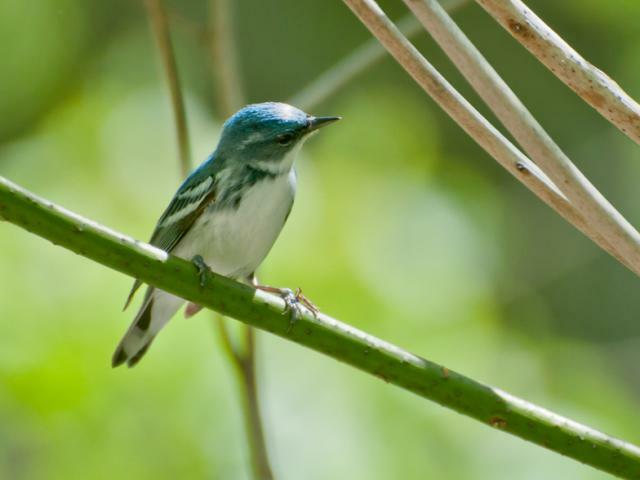 The project involved the volunteer efforts of nearly 1,000 citizen scientists — Ohio birders who contributed more than 1 million breeding bird records from 2006 to 2011. To contact the source: Matt Shumar at shumar.3@osu.edu.